Electric bicycles have important advantages over a regular bike. Even if you’re physically fit and exercise regularly, there are many reasons why you should consider an electric bike. As a commuter, you won’t arrive to work sweaty and out of breath. You’ll arrive refreshed and relaxed with no need to shower or change clothes before work. No more waiting in traffic. Reduce stress and exposure to polluted air by not spending hours parked on the road! 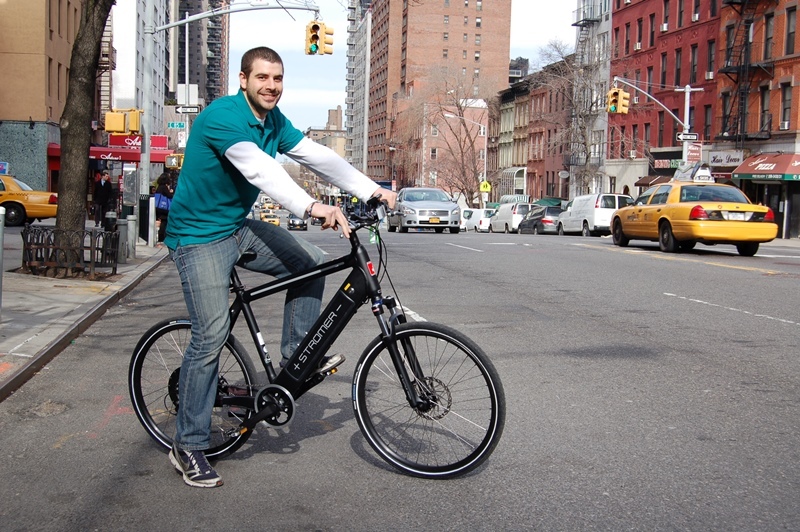 Sometimes an electric bike can beat the speed of public transportation! This is a great alternative to your usual commute. Wake up with a refreshing bike ride instead of a car ride that lulls you back to sleep. The fresh air will help you start your day off right! Even with the electric motor, you will become more active and achieve your fitness goals by manually pedaling when you can and switching to the electric motor when you are tired. Rather than having a regular bike collect dust in your closet, you’ll find yourself looking forward to the next ride on an electric bike because of the reduced pain point of not having to always pedal. 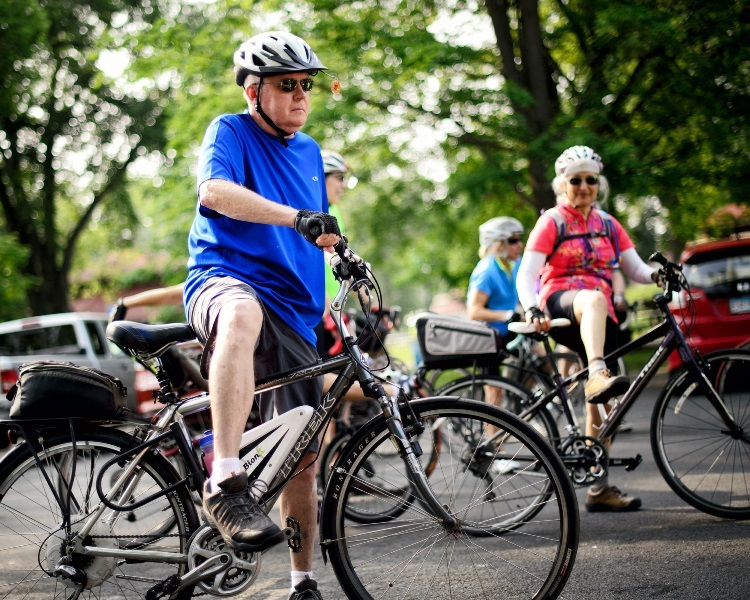 Biking helps improve coordination! This keeps your mind sharp and can impact all areas of your life – from interaction with energetic, young loved ones to general physical ability. Even if you haven’t ridden a bike in years, it’s a skill that is easily picked up again. The electric motor is there for you to rely on in challenging moments on the trail! You’ll find yourself spending more time outdoors in the fresh air. Your commute will be less stressful, resulting in a calmer beginning to your work day that will carry through until it’s time to bike home. The benefits of electric bicycles are endless! 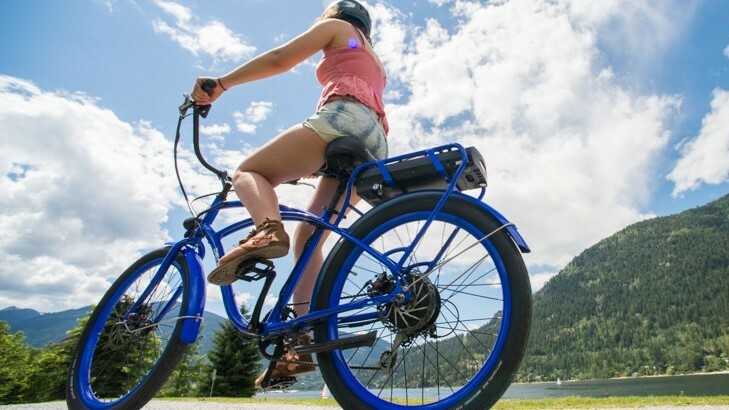 The convenience of the electric motor will encourage you to take longer, more daring bicycle trips without the consideration and fear in having to pedal all the way back. Your average commute per day will only cost you around 5 – 8 cents. Over one month, that’s only $1 – $2! If you have a car, you will put less wear and tear on it by driving it less in favor of cycling. Take a weekend trip to the country or spend a day exploring. Electric bikes make any sort of errand easy and quick. Take your child to school. Pick up groceries. Optional rack bags or a bike trailer provide all the carrying power you need. According to the 2009 National Household Travel Survey, half of all trips in the US are less than 3 miles. Biking makes good sense! Effectively flatten out hills with the help of the electric motor – just another one of the many benefits of electric bicycles! If your significant other loves to cycle, but you find it hard to keep up, an electric bike helps you spend more quality time together. ALL RIGHTS RESERVED BY THE CYC-LOK LTD.